An adaptation for string duet of the second movement from Thomas Arne’s third organ concerto. 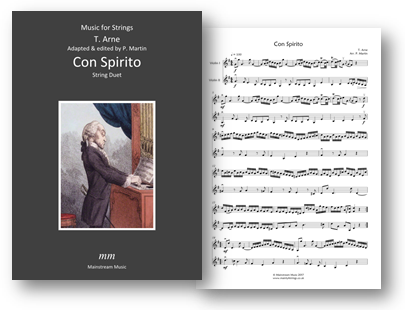 The PDF contains versions for violin duet, violin and viola, violin and cello, viola duet and viola and cello. Click here to listen to a recording of the version for two violins. Click on the image below to view the score.